The nation’s capital bids its final farewell to the late former President George H.W. Bush on Wednesday in a service of prayer and praise. 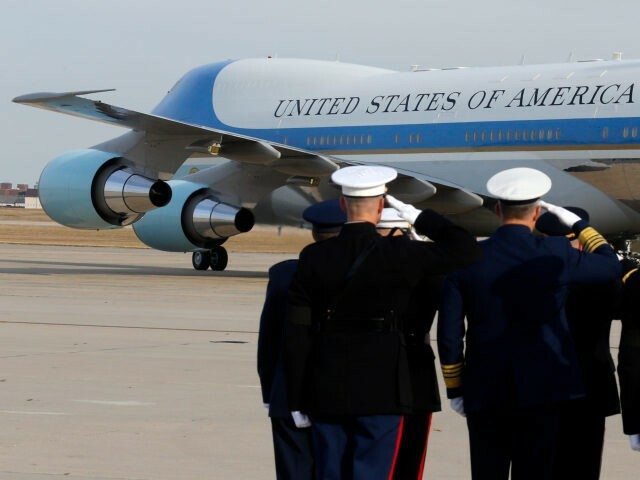 The hearse and casket are now headed to Joint Base Andrews following the memorial service for former president George H.W. Bush. 12:18 PM — Former President George W. Bush eulogizes his father, George H.W. Bush. Former Senator Alan Simpson just sang Evita at Bush funeral! Washington National Cathedral is in stitches as former Sen. Alan Simpson runs through the greatest hits of decades of friendship with George H.W. Bush. Mulroney cites Bush’s approval of NAFTA as a major accomplishment….which he said has since been “improved"
George H.W. Bush’s biographer is hailing the late president as a noble man who made the world better and inadvertently made it chuckle, per the AP. 10:56 AM — The U.N. Security Council has paid tribute to the late former President George H.W. Bush, standing silently in his memory, reports the Associated Press. Ivory Coast President Alassane Ouattara was presiding over the U.N.’s most powerful body on Wednesday and asked the 15 members and diplomats in the crowded council chamber to observe a minute of silence to honor Bush at the start of a meeting on sustaining peace after conflict. It’s an extraordinary scene inside the Washington National Cathedral, where former world leaders are mingling, waiting for a ceremony remembering former President George H.W. Bush to begin, per the Associated Press. Friends and family are gathering at Washington National Cathedral under tight security for a funeral service honoring late former President George H.W. Bush, per the Associated Press. Former President George H.W. Bush’s casket has left the U.S. Capitol for a state funeral at the Washington National Cathedral, per the Associated Press.